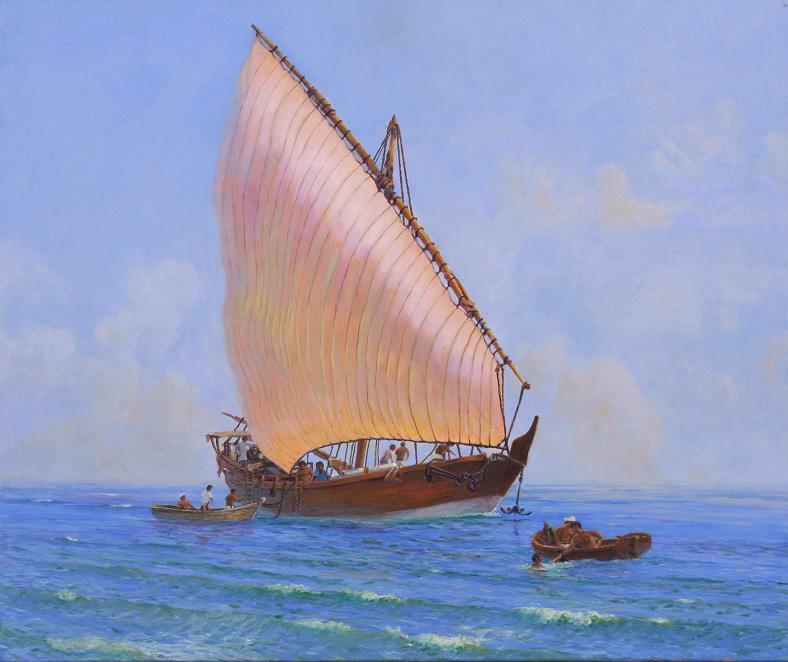 Sanbaq dhows have seen more adventures than there are in Arabian Nights and are still used by Somali Pirates! A fine example of an Omani Sanbaq dhow engaged in a very ancient, traditional trade. A marine painting rich in detail. We see the dhow confidently edging her way into shallow waters, just about to luff to wind and anchour, while the ship’s cat surveys all from the poop deck.